Volumes 1 and 2 courtesy of Unity Archives. Thank you. Mark, I have ten years of bound copies of Unity Weekly Magazine - 1946 to 1956. Al Sears, Shea St. John's husband, gave them to me. I find sermon ideas in every week! Should I scan them? That presented a big challenge. How could we get scanned this oversized, tightly-bound volume in an easy and efficient manner? Well, it just so happens that the University of Texas has what is called a "KIC" machine and that machine is free-to-use by the public. So I took the bus onto campus to see how it might work. In less than an hour, I had captured a PDF of all 52 issues and had it on my thumbdrive. The picture you see here is Don's 1946 Weekly Unity volume ready to shoot. Now, if you have something like this that you would like to see shared with others, you can lend it to me or you can scan it and send me the PDF file. 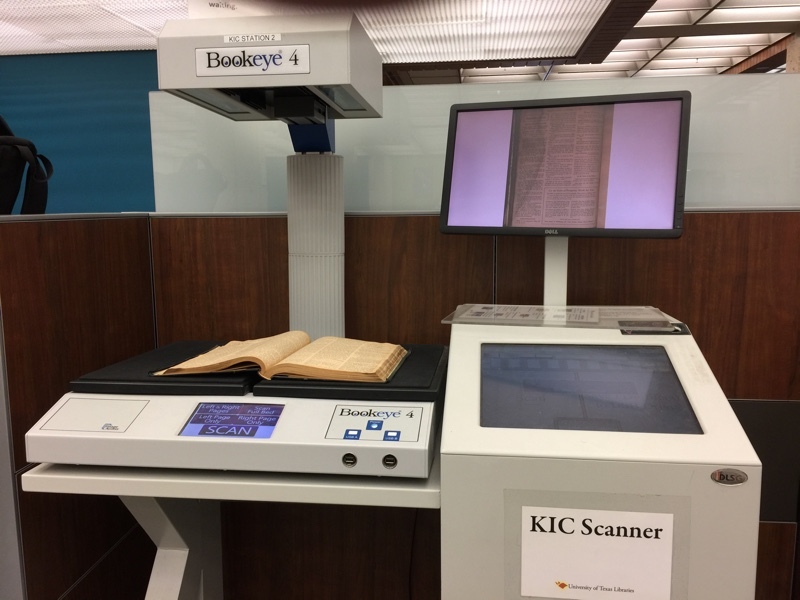 Finding a KIC machine in your town is fairly easy. They are located all over, especially in the libraries of colleges and universities. Just do a Google search of "KIC scanner" + THE NAME OF YOUR CITY. But I'm happy to do the scanning. Let me know before you ship anything, just in case I'm out of town or in case I've already got what you're offering. So, would you like to see all the issues of Weekly Unity (prior to 1965) here? Would you like to find a sermon idea every week? Would you like to share with others like Don has shared with you? It's easy. Circulation is a DIVINE IDEA in Unity. I get a lot of good things said to me about TruthUnity. And I am grateful. But never forget that our Source is the Divine Idea that nudges you and me to freely give and freely receive. Unity school has been incredibly generous in allowing me to share things from the library and archives. Dozens of you, like Don, have sent me wonderful things, many of which no one knew existed. That is why Unity is such a great movement. Thank you to Rev. Don Seiler, Al Sears and Unity of North Houston for sharing Weekly Unity 1946!